The New Generation of Harry Potter. The New Generation of Harry Potter. 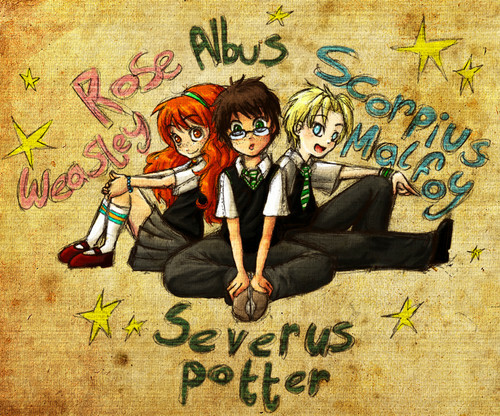 HD Wallpaper and background images in the The New Generation of Harry Potter club tagged: scorpius malfoy albus potter rose weasley. This The New Generation of Harry Potter photo might contain знак, плакат, текст, классной доски, доске, аниме, комиксы, манга, анимационные фильмы, комикс, мультфильм, and книга комиксов.